A small ruined finca overlooking the harbour in Mallorca’s Port d’Andratx became the charming setting for his new enterprise. And four years ago La Gourmeda opens its doors, its menu and atmosphere garnering instant acclaim and repute. With over 20 years’ experience in the kitchen, Jan was initially the driving force behind the cuisine. 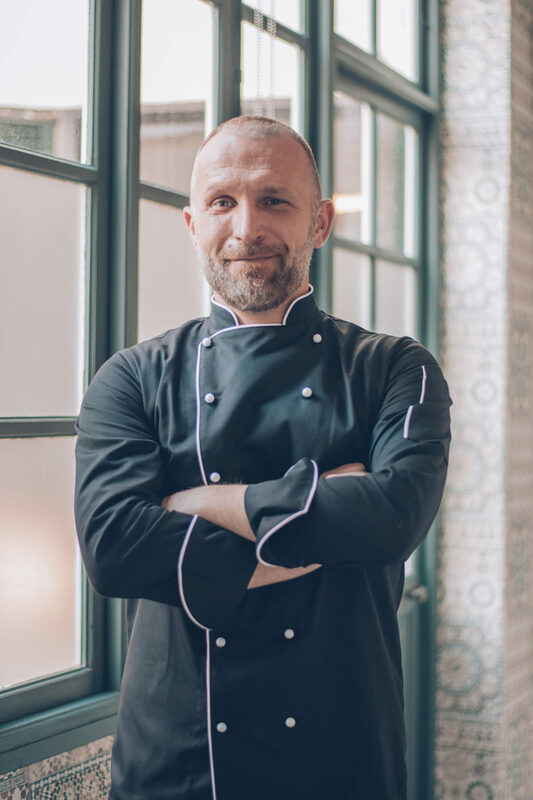 However, the gastronomic talent now comes in the form of head chef Steffen Schappert, who honed his skills in New York, Tel Aviv, and at Ottolenghi’s acclaimed London restaurant. An emphasis on carefully selected local produce includes freshly caught fish, regional free-range meat, and organically grown vegetables. The result is a Modern Mediterranean culinary concept with a scattering of Asiatic flourishes, best described as ‘light crossover’ cuisine. Additional options are provided in an excellent selection of expertly made sushi variations. As well as its food drawing high praise and ample repeat custom, it’s renowned for its beautiful garden terrace, a perfect spot for a romantic candlelit alfresco dinner, live music perfectly setting mood. During the colder months, diners move inside, into the cosy rustic dining room, or upstairs with lovely views over the scenic harbour.“If you do what you love, you’ll never work a day in your life” is a philosophy that Steffen lives by. And he clearly loves what he does, and at La Gourmeda you can taste it in every mouthful.